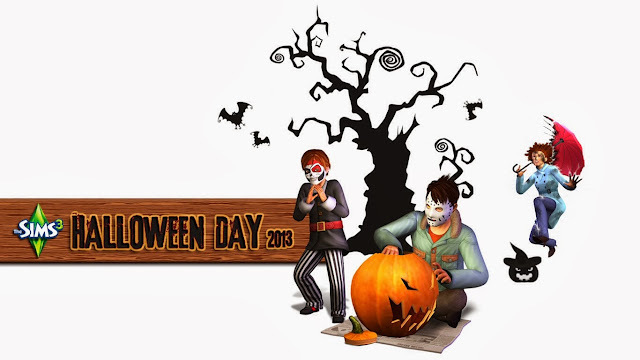 Let your Sims to celebrate Halloween day. 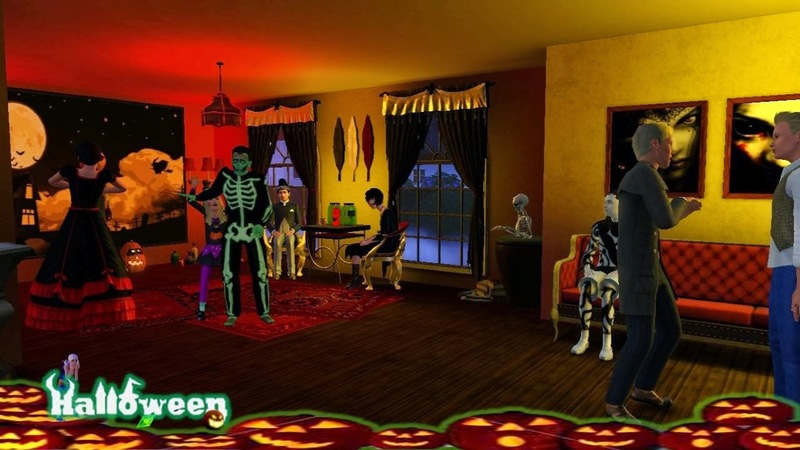 Decorate your Sims' house in the spirit of Halloween. Carve a pumpkin, set jack o' lanterns, wear a costume, and go trick or treating! Share your screenshots of your creation here. All your screenshots will be published here too. Come and join us. 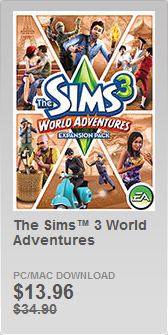 Share your creativity with all simmers in whole world! 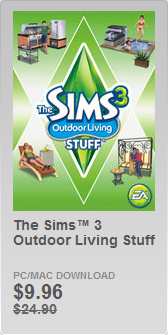 Free Contents from Futureshock Living for this week and discount 40% for the Futureshock Living SET. 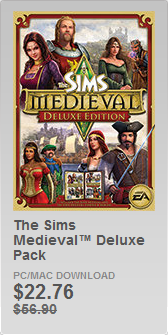 Discount available only from Friday, October 25th 10:00 AM PDT to Sunday, October 27?th 11:59 PM PDT. 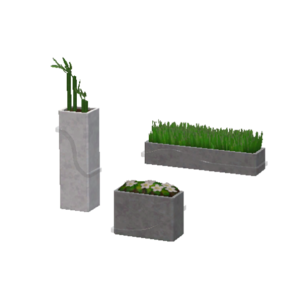 And click here to buy 40% OFF Futureshock Living Set. Who miss the Goodie Boxes? 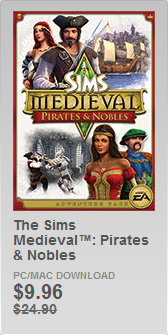 Good news, they are back for a limited time. Treat yourself to a lovely surprise and open up a Goodie Box! 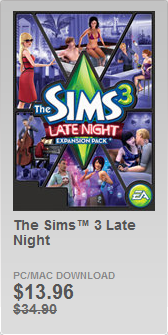 Available until Friday, Nov 1, 11:59 PM PDT. Click here to learn more about Goodie Boxes. 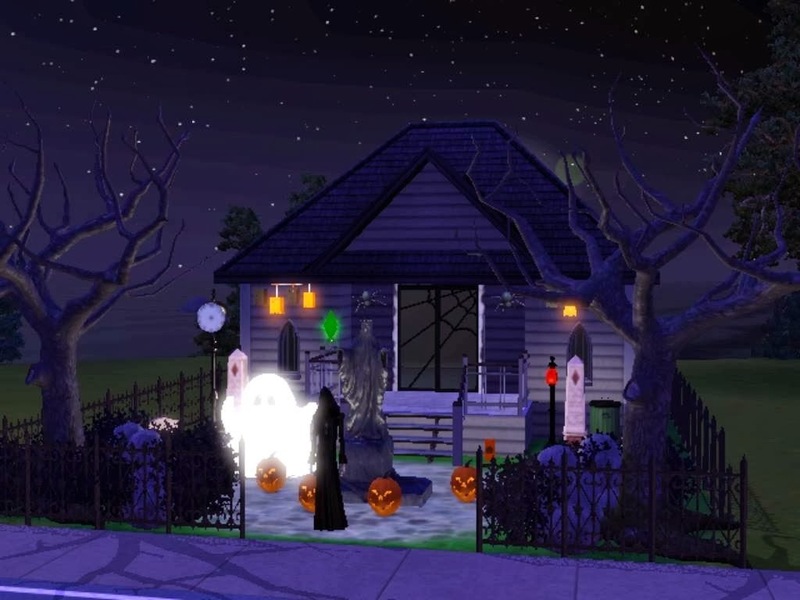 Let your Sims to celebrate Halloween with spooky decorations. 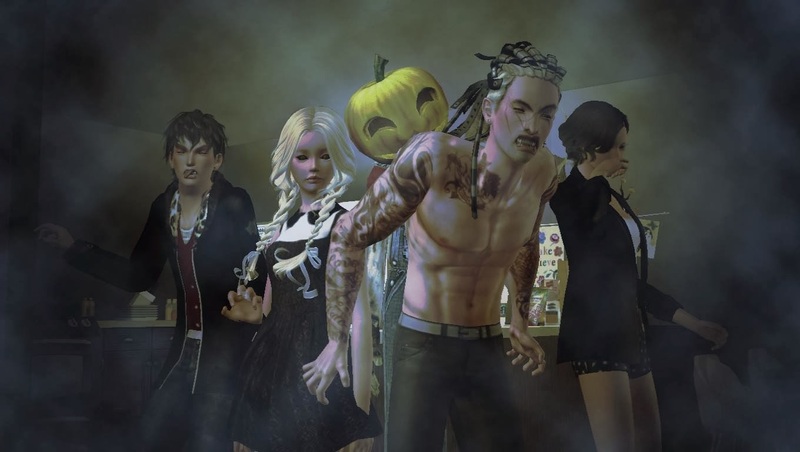 "No Tricks, Just Treats" will decorate your Sims 3. Download now for FREE* here. 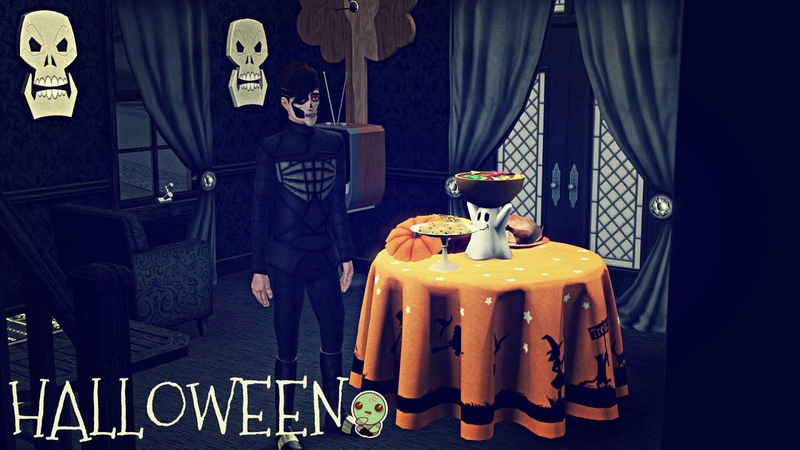 Click here to download Halloween Treats for FREE*. Click here to download More Halloween for FREE*. 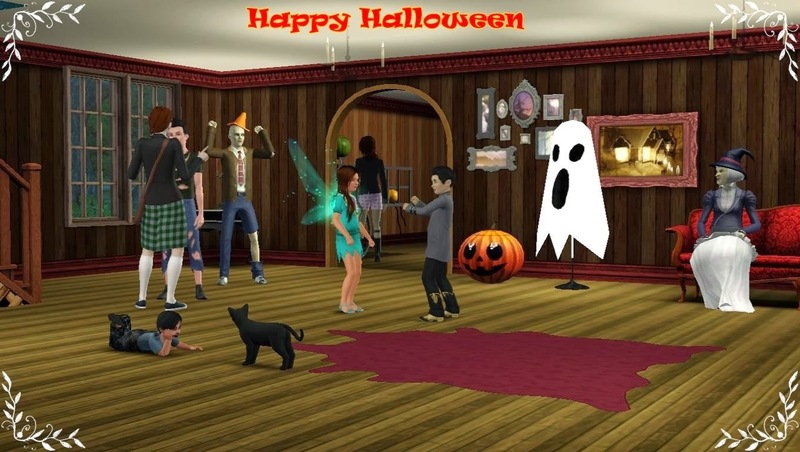 Click here to download Happy Halloween: Gory Goodies for FREE*. 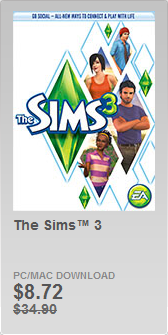 It's official, The Sims 4 is coming Fall 2014. 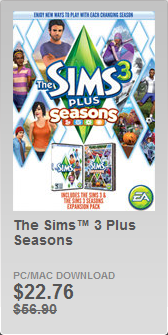 EA announced that The Sims 4 will be shipping in Fall 2014 worldwide for the PC. 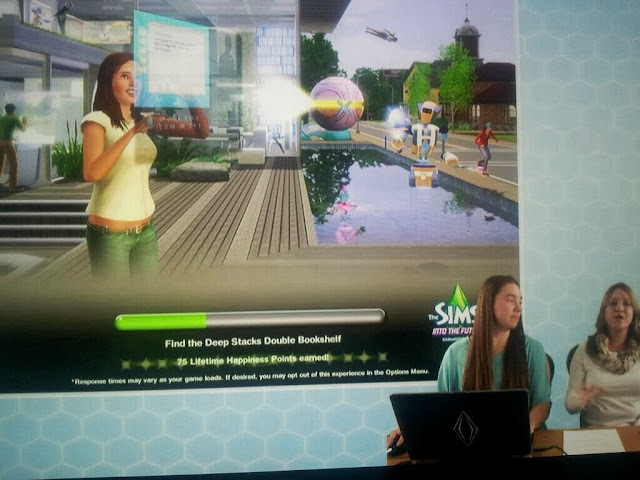 Happy to announce that #TheSims4 is coming fall 2014. 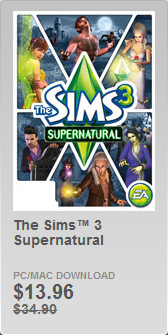 Thanks for all of your support, it’s going to be the best game we’ve ever made! ♦ Level up your Guitar Skill before Playing Against the Reaper - he is a master guitarist and will unleash the Pit Monster on Sims that lose the duel. 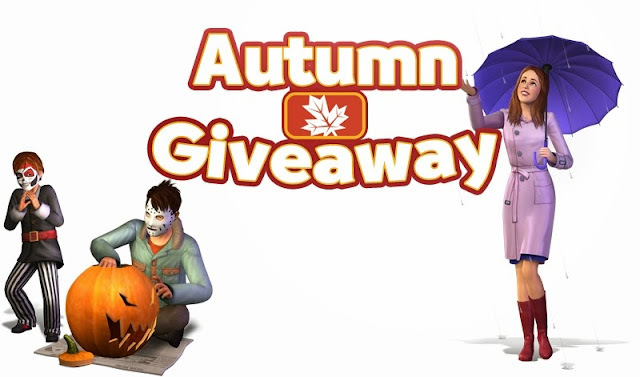 However, Don’t Fear the Grim Reaper and prove yourself to win a special prize from Grim! 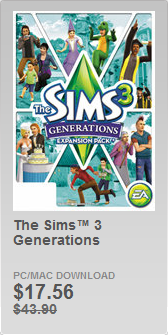 ♦ Help your Sim start a family by Simulating a Genetic Merger with another Sim of your choosing. 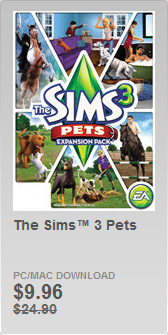 ♦ Reincarnate your dearly departed Sims and Pets, but whether they come back as a Sim or Pet is up to the Reaper! 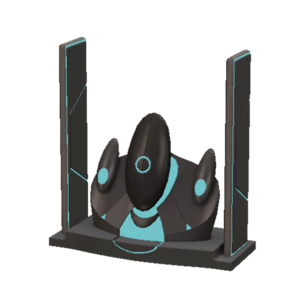 ♦ The Reaper is able to handle all of the paperwork and Rename your Sim in an instant. ♦ The Pit Monster has an appetite for those pesky Zombies and Paparazzi. Door of Life And Death is currently not available for individual sale. 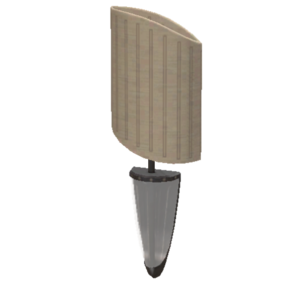 You have to buy Grim's Ghastly Manor to get this premium content. 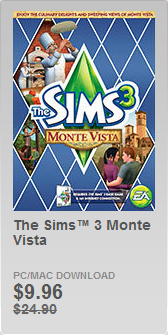 Sims Community sedang mengadakan giveaway. Giveaway berlangsung selama 5 minggu. 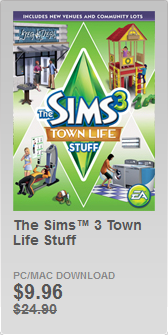 Ada 5 permainan yang akan mereka bagi: The Sims 3 Movie Stuff, The Sims 3 Katy Perry’s Sweet Treats, The Sims 3 Dragon Valley, The Sims 3 Showtime and The Sims 3 Into the Future (1 game/minggu). 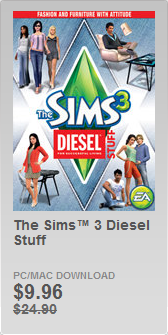 ♦ Minggu pertama (19/10 - 26/10): The Sims 3 Movie Stuff. 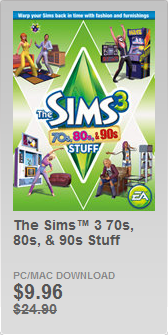 ♦ Minggu kedua (27/10 - 02/11): The Sims 3 Katy Perry's Sweet Treats. 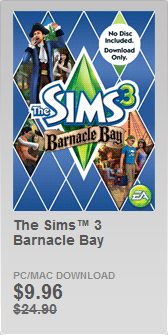 ♦ Minggu ketiga (03/11 - 09/11): The Sims 3 Dragon Valley. 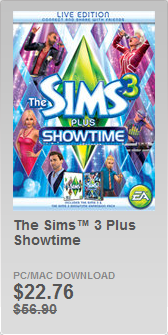 ♦ Minggu keempat (10/11 - 16/11): The Sims 3 Showtime. 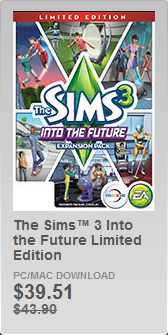 ♦ Minggu kelima (17/11 - 23/11): The Sims 3 Into the Future. Untuk info lebih lanjut dan melihat peraturannya silahkan Klik disini. 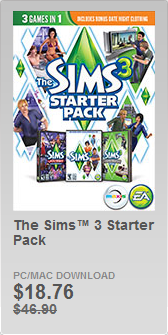 Sims Community is having a 5-week giveaway. 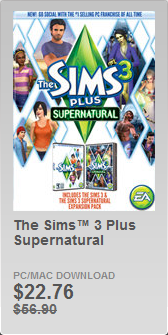 They are giving away 5 games: The Sims 3 Movie Stuff, The Sims 3 Katy Perry’s Sweet Treats, The Sims 3 Dragon Valley, The Sims 3 Showtime and The Sims 3 Into the Future (1 game per week). 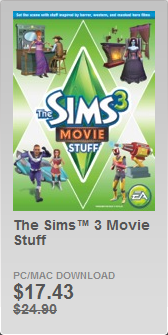 ♦ First week (10/19 - 10/26): The Sims 3 Movie Stuff. 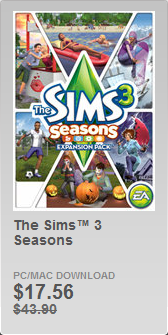 ♦ Second week (10/27 - 11/02): The Sims 3 Katy Perry's Sweet Treats. 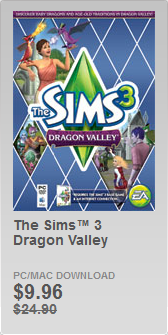 ♦ Third week (11/03 - 11/09): The Sims 3 Dragon Valley. 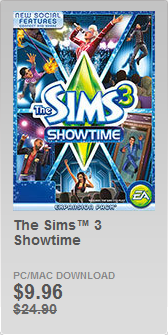 ♦ Fourth week (11/10 - 11/16): The Sims 3 Showtime. 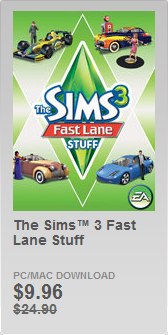 ♦ Fifth week (11/17 - 11/23): The Sims 3 Into the Future. Click here for more details and see the rules. Step 2: Back Up your Save Files It’s always a good precaution to back up your save files before installing an Expansion Pack, Update, or Stuff Pack. 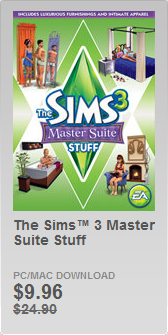 To do this, copy the “.sims3” folders found in the Saves folder onto your desktop or another file directory. 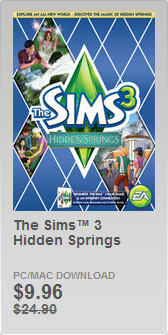 Atau follow twitter kami @PlumbobID untuk mendapatkan informasi The Sims 3 dan The Sims 4 terbaru. Free Contents from Luxe Lounge Spa for this week and discount 40% for Luxe Lounge Spa SET. 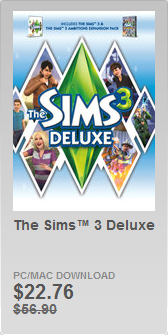 Discount available only from Friday, October 18th 10:00 AM PDT to Sunday, October 20th 11:59 PM PDT. 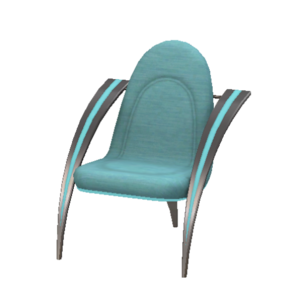 And click here to buy 40% OFF Luxe Lounge Spa Set. "Remember that creepy house at the end of the block that kids would dare each other to go knock on the door? Grim’s Ghastly Manor is that place. 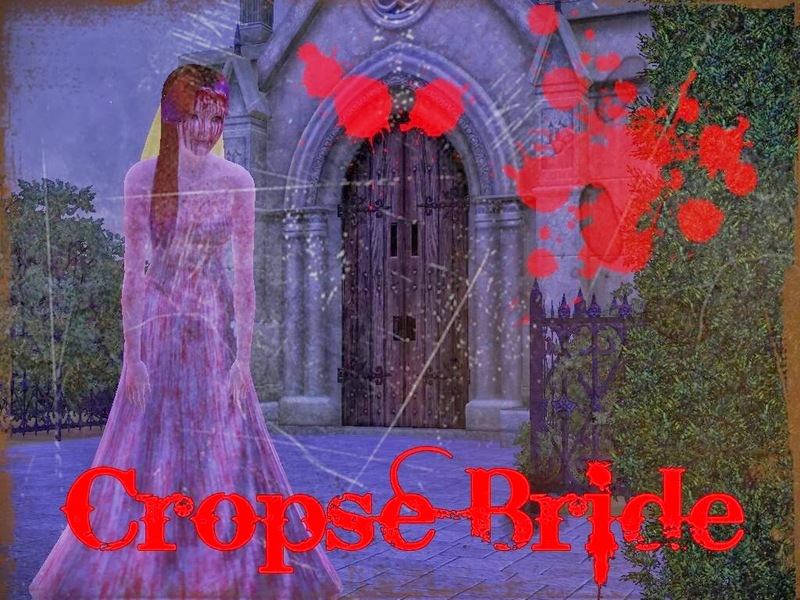 A burned out bell tower, hidden catacombs, and a doorway to summon the Grim Reaper himself are just some of the eerie things that are afoot here. But hidden amongst the shadows is the secret to genetic mergers, eternal life, and awesome guitar riffs." 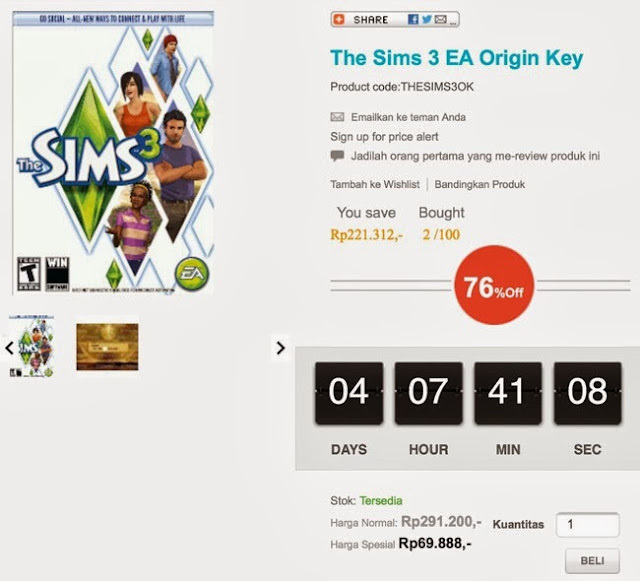 Bagi kalian yang ingin membeli The Sims 3 base game dengan harga yang murah silahkan klik http://www.stopgaming.net/the-sims-3-ea-origin-key.html. Untuk cara transaksi silahkan lihat di sini. 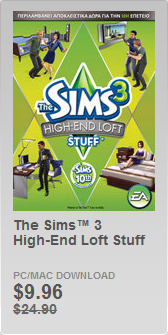 The Sims is holding giveaway on twitter. 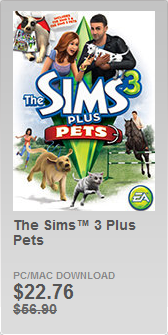 To participate just login to your account on http://www.thesims3.com, make a wishlist by choose store contents in store section. 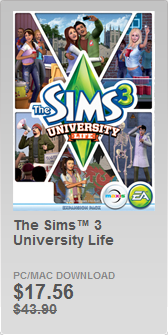 Tweet your wishlist url and why you excited for Into the Future. 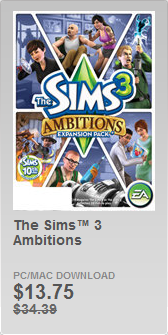 GIVEAWAY: #TheSims3 Into the Future Launch Trailer has 100K+ Views! 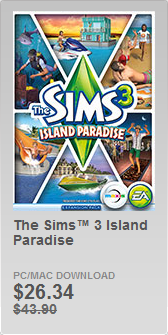 Tweet your Wishlist URL & why you're excited for ITF to participate! Hello! We're here to bring news. 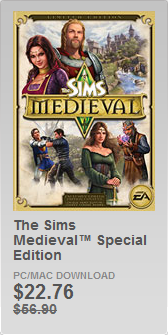 Origin is holding discount prices for every purchase of any the sims on origin, including the sims medieval. 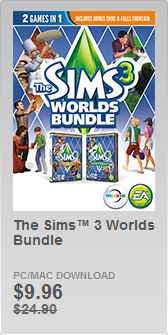 Don't miss this chance because the offer will be end on October, 15th 2013 at 11:00 AM EAST.